Nicky is making the difference. Listening carefully and working hard she gets results. With vast experience in sales Nicky is your proven real estate professional. Nicky takes great personal satisfaction in being a highly motivated and skilled Sales Consultant. She is highly organised and results driven. Nicky has been with Harcourts Helensville since 2008, she is one of the business owners and is ranked Number 1 in sales in her office. She is a very successful high achiever with endless energy and she loves helping clients to achieve their goals. Nicky believes in providing a high level of service based on honesty, communication and care. Nicky is also an Associate of the Real Estate Institute of New Zealand, a membership category that recognises excellence, educational achievement and commitment to the Real Estate Industry. 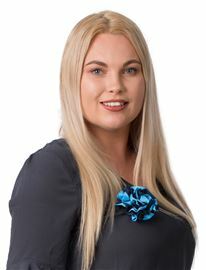 Nicky is supported by her Personal Assistant, Michelle Mitchell and she is backed by the strong support of the country’s strongest real estate group – HARCOURTS. Shanna’s role as operations manager has her working closely with all our new and existing staff, inducting and training them in our office procedures and computer systems. Balancing her time between sales consultants and office administrators can be a demanding job, with her warm welcome, positive attitude, focus and drive Shanna thrives on getting the job done. Shanna started within Tandem as one of our office administrators. With Shanna’s background and knowledge in our company systems and her 15 years’ experience in customer service, admin and sales support she is an integral part of our team. Shanna loves the lifestyle the beautiful Hibiscus Coast has to offer, enjoying it with her husband, son & two daughters. Growing up on a farm in the plains of rural Alberta, Canada; Ellena is no stranger to hard work. Her background in the Alberta building sector has sparked a long-standing interest in real estate. After moving her family to New Zealand, she has realised her goal and obtained her license in real estate sales. Ellena is self-driven, hard-working and her quintessential Canadian personality makes her a positive and easy-going person while remaining organized. She’s always ready to greet you with a warm smile and she is dedicated to her passion in real estate. Call her today! 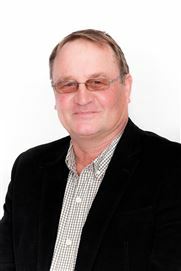 Graeme McLeod AREINZ Throughout Graeme’s 15 years in the Real Estate industry, he has succeeded in the roles of Sales Consultant in Residential, Rural, Lifestyle and Commercial Sales, Marketing and Negotiating, Manager and Business Owner. His long standing presence in the area (4th generation) gives him a huge advantage in the understanding of the changes undergone and still undergoing in this diverse and sought after community. Graeme is intensely passionate about real estate and providing the very best service for his clients. Kristalle is an all-out country girl. Growing up North West of Auckland, her ‘Red Bands’ are classified as her casual foot wear. Kristalle believes in honest and warm service. She is determined to show all that her hometown and community has to offer. Coming from a strong hospitality background, Kristalle has a passion for people and understands the importance of communication and understanding. Kristalle has good knowledge and contacts of the Maori land and iwi surrounding the area. Downtime consists of spending time with her young family and enjoying the coastal activities that the area has to offer. 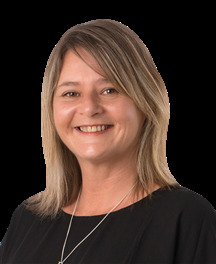 Robin has worked with the Harcourts Helensville team since 2006. He has lived in the area for many years and is passionate about the benefits and pleasures of living in South Head, and therefore overcomes resistance to the location by selling the lifestyle and the community that all the local residents enjoy. Robin hopes he can bring this success to assist you to buy or sell your home. He also runs his own farm block, previously running deer and more recently running cattle, so he has much knowledge in this aspect also. Robin has been very successful selling in South Head and has achieved very good sales in this area. In 2012, Robin was Number 10 in New Zealand for Harcourts Rural, and that success continued in 2013 with several completed contracts. Michelle prides herself on her customer service and problem solving skills. She has lived in West Auckland for the last 7 years. Michelle has returned to Auckland after spending 10 years in Christchurch. Her interests include spending time with her family and when she`s not, you will find her out fishing. Laura and her husband moved from Henderson to Helensville in 2014 for a more relaxed lifestyle, away from the hustle and bustle of inner suburbs. Laura has primarily worked in Medical Administration for many years but recently discovered the Real Estate industry is an exciting career path she would like to follow. Laura`s role of Office Administration has her processing sale and purchase agreements, supporting the team and managing the running of the office on a day to day basis. Laura enjoys learning new computer programmes, new challenges and rural life. In her spare time she likes to enjoy her farm and various animals. Michelle and her family moved to Kaukapakapa in 2009 for a more relaxed country life. Michelle has worked within Healthcare Administration for many years, and has been a Personal Assistant for more than 10 years. 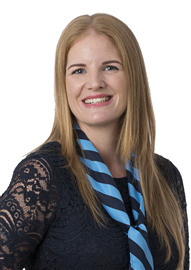 Michelle joined Harcourts in 2016 bringing with her great organisational and administrative skills. Fully restored 3 bedroom home. The Quarter Acre Dream Exists! Walk Onsite And Go "WOW"